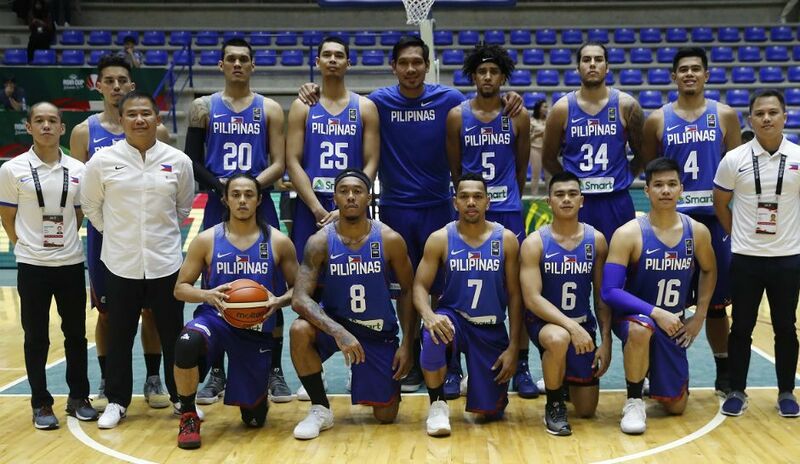 MANILA, Philippines - Amidst the Narvasa-outage controversy and rift between SMC-led group and MVP faction, Gilas Pilipinas has resumed its practice today for the Asian qualifiers of the 2019 FIBA World Cup. Head Coach Chot Reyes re-grouped the Nationals to condition them against Team Japan and Team Chinese Taipei this month. The tournament will now be in a home and away format where Philippines will fly to Tokyo Japan for the opener on November 24 while Chinese Taipei will bring its A game in the Philippine soil for Gilas’ only home game on November 27. Normally, season opener is being held in November. Since Gilas needs more time to suit up for its couple of crucial games, the PBA board has decided to move the Season 43 opening ceremony to December 17. Gilas Pilipinas’ first practice was attended by mainstays Gabe Norwood, June Mar Fajardo, Japeth Aguilar, Calvin Abueva, Raymond Almazan, Allein Maliksi, Jayson Castro, Mac Belo, Matthew Wright, Jio Jalalon, RR Pogoy, Carl Bryan Cruz and Troy Rosario. Asia’s Golden Boy Terrence Romeo didn’t make it to practice due to out of country tour and promotions commitment to the shoe brand that he’s endorsing while SMB top rookie Christian Hardinger began his contract with the Hong Kong Eastern Long Lions to defend their ABL title which will also commence this November. The new FIBA format will definitely affect the performance of our National Team in terms of practice and preparation due to conflict of schedules once the PBA season started. However, the team governors assured the public that they will continue to support the National Team program by lending their players despite the league calendar. Gilas’ first 2 games will certainly not be a walk in the park as Japan and Chinese Taipei are two of the mid-tiered teams in the region and both have the huge chance of upsetting Philippines. 3 weeks are not enough to form the team and condition the players. But if there’s one thing that our very own Gilas Pilipinas will rely on, it will be our “puso”. Laban Pilipinas!